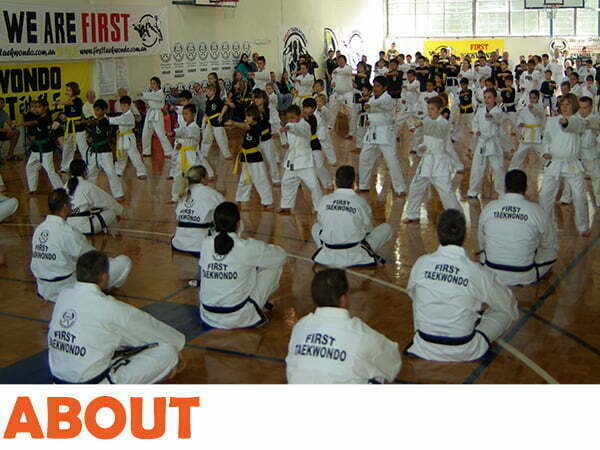 any situation" "Very professional and full of integrity" "First Taekwondo is for everybody!" "Grow a strength you didn't know you had" "Join this great organisation" "My journey over the past two decades"
To behave in a self-controlled, disciplined and safe manner during training and practice of the art. To use the art only for self-defence, and defence of others when grave physical danger is imminent. To develop an attitude of self-respect and exhibit the same behaviour towards others during all personal interactions. First Taekwondo honour these principles and train our students to do the same, and we are proud to provide a method such as this at our Adelaide locations. Our Academy has remained faithful to the traditional methods of teaching the art of Taekwondo. First Taekwondo Instructors fully acknowledge there are many ancillary benefits to be gained from Martial Art practice: however we concentrate on and direct our teaching toward the original purpose which was and has always been self- defence. 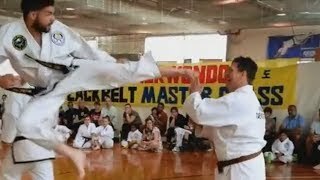 At the highest level Black belts are taught advanced technique by Master Instructor Vernon Low in an exclusive and specially developed Black Belt Master class. Our Instructors are well credentialed and in being so we are highly confident that you the practitioner will enjoy your training and develop skills you can keep for life. We believe in our quality of Instruction to the extent that we will not lock you into a contract that you may have problems extricating yourself from should something change in your life, Our fees are very reasonable, charged on a monthly basis with substantial family discounts available. There can be no mistaking the incredible benefits that Taekwondo can have for your health, fitness, confidence and abilities in self-defence. 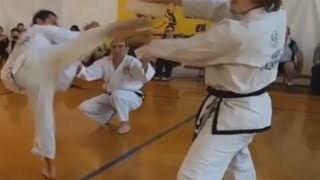 If taught correctly other methods, including Judo, Jiu Jitsu, Muay Thai, Karate, Boxing, Kick Boxing Kendo, Kung Fu, Hapkido, Aikido and many more are beneficial. We believe the skills learnt in Taekwondo are wide ranging and imperative for the ability to defend one's self. As the times are becoming increasingly unpredictable, it is important that if an unfortunate event occurs one is able to defend themselves effectively through the use of martial arts. 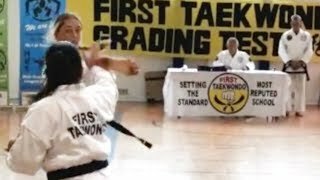 This is what First Taekwondo can help you achieve. We help you learn the skills needed to neutralise a dangerous situation through the art of taekwondo quickly and efficiently. You will have enhanced confidence when going about daily tasks knowing that you are ready to defend yourself in all situations. 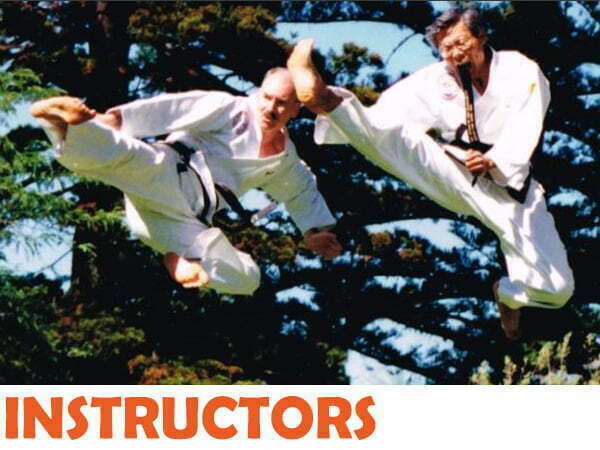 As well as providing the ability to defend one's self when necessary, the health benefits of Taekwondo are paramount. With obesity on the rise in the developed world weight control and general health have never been more closely linked. Not only does learning the art of taekwondo improve your cardio, agility, endurance, flexibility and strength, but it provides an overall level of sporting ability that you can take with you into other disciplines. You will notice a heightened level of focus and attention which will dramatically improve your game. It's a great option for kids, as they can get started early learning the skills and disciplines associated with the practice. Unfortunately the prevalence of bullying in its many forms in school and social life cannot be ignored and the confidence gained by First taekwondo training can be beneficial in dealing with this insidious problem that affects many members of our Australian community. 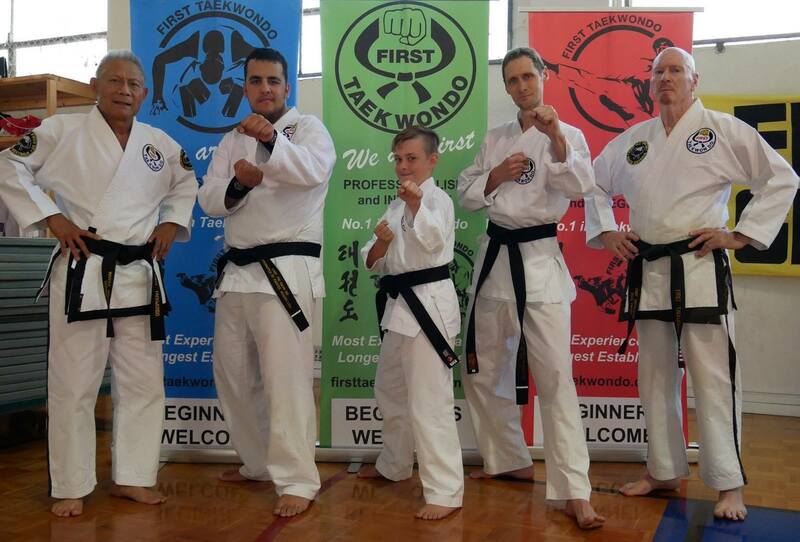 First Taekwondo is a family friendly Martial Art organization and as such we train families together at the same time and venue in an efficient manner. Find out more about the amazing benefits of taekwondo here. 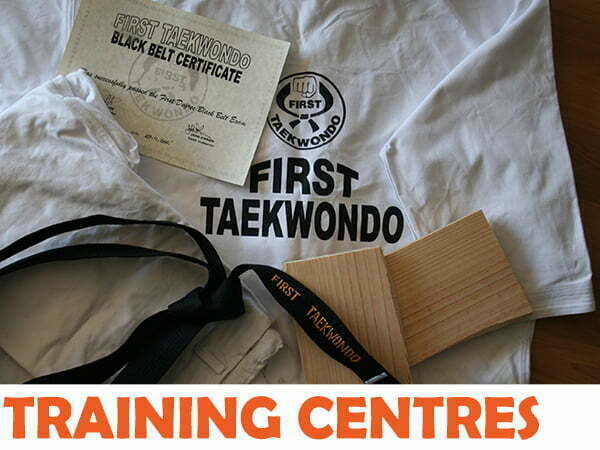 Call 0411 831 650 or email john.obrien@firsttaekwondo.com.au to join our team of skilled martial artists.